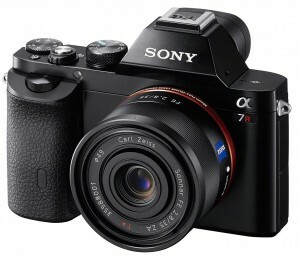 Sony has released two new E-Mount Full Frame Mirrorless Cameras. If you didn't catch that, it's Full Frame in a compact Interchangeable Lens camera body. With uncompressed HDMI output, HD Video shooters might find this interesting, but will probably appeal mainly to still photographers. The new Sony Alpha A7 & A7R E-Mount Full Frame Cameras share many similar features between each other, but there are some obvious differences including new high-speed BIONZ® X image processor found only in the A7R. 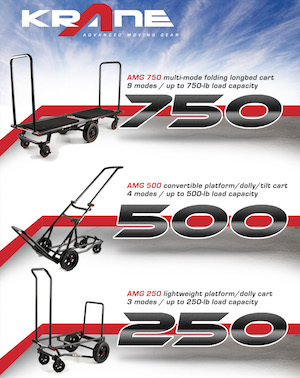 A few more Sony A7 / A7R brief specs are listed below, with more info following the jump to the product page. Posted in Cinema Camera, dslr video, sony. 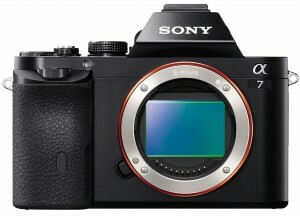 Tags: Alpha Camera, E-Mount Full Frame Lenses, HD Video HDMI Output, Sony A7 video, Sony A7R, Uncompressed HD Sony A7R on October 15, 2013 by Emm. 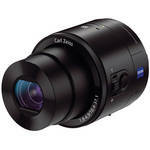 Today Sony has released an innovative idea that merges a complete camera system into two different lens bodies. Controlling the QX10 or QX100 is done through your smart phone. The QX10 and QX100 may deserve the term innovative, but that might only be used to describe design. 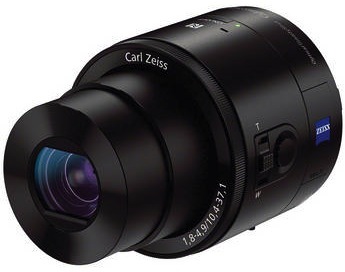 Every aspect of the QX10 and QX100 is working backwards from what Sony has praised themselves for previously. 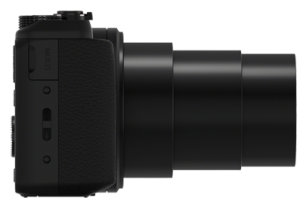 When Sony designed the NEX-7 they highlighted the fact that they've added more buttons and dials and an improved EVF electronic view finder. The new QX10 and QDX100 relies on a touch screen smartphone and a laggy display. Not to mention lag time when initiating the shutter to fire. Lagging displays played a major part with the slow adoption of mirrorless cameras. Some display like that of Fuji's EVF almost appear as if you're looking through the mirror of a DSLR camera, not an LCD screen. 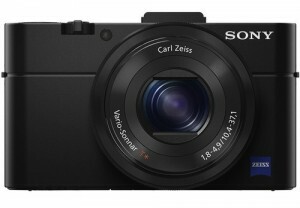 The Sony RX100 and RX100 Mark II have been praised to bring a high quality sensor into a very pocketable camera. While the new QX10 and QX100 have sensors similar to the RX100, it can only be as comfortable as sticking a cup in your pants. I think it's only fitting to share this next video from The Onion that spoofs such backwards innovation. With a price tag of $499 and useless without a decent smartphone, the QX10 and QX100 brings image quality that can already be captured in a cheaper and more pocketable point and shoot system, and the only innovation they bring is to promote glorified 'selfies'. Still, if you want more information on the QX10 and QX100 they are already available for pre-order via B&H (here). Posted in dslr video, sony. 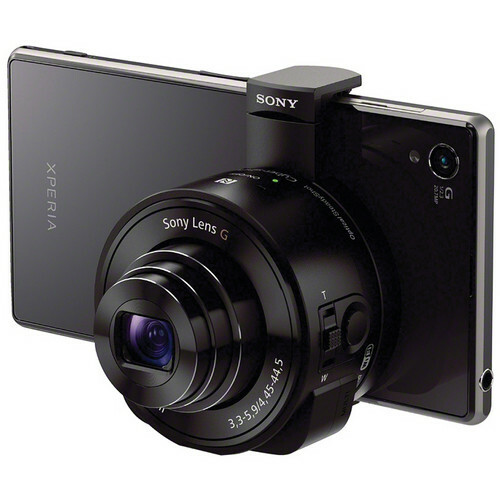 Tags: Sony QX10, Sony QX100, Sony Smart, Sony Smart Lens on September 4, 2013 by Emm. 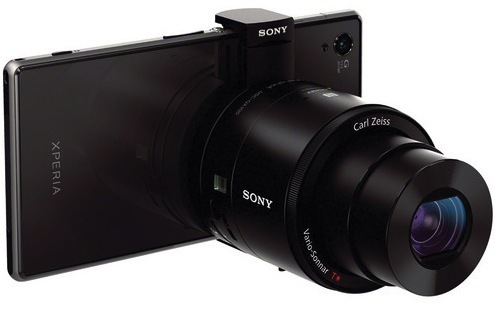 Sony has been on fire lately releasing new camera models almost every month it seems. 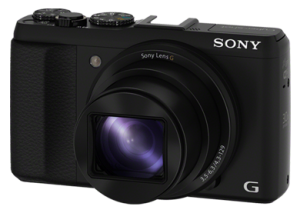 Today Sony has announced two new cameras available for PreOrder - the Sony Alpha A3000 DSLR Camera and the new Sony Alpha NEX-5T Mirrorless Camera. The mirrorless camera market has been a very hot topic lately and we'll see if the new NEX-5T is going to give them a bit more hold in this space. I don't know about you, but I personally feel Canon and Nikon had better start stepping up their game in this space. In addition Sony has 3 new lenses available, the Vario-Tessar T* E 16-70mm f/4 ZA OSS, E PZ 18-105 f/4 G OSS lens and the E 50mm f/1.8 Mid-Range Prime lens. 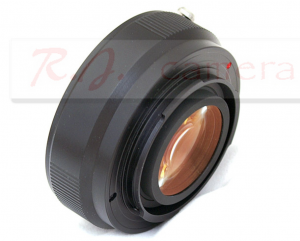 Through the growing line of high quality E Mount lens options, this is just another reason many consumers can adapt quickly to Sony NEX mirrorless cameras over brands like Canon or Nikon. Yes I know you can adapt huge bulky full frame lenses, but that pretty much defeats the purpose of going with a smaller camera body. Posted in dslr video, sony. Tags: New Sony Lenses, Sony 50mm F/1.8, Sony A3000, Sony DSLR, Sony Mirrorless, Sony NEX-5T on August 26, 2013 by Emm. 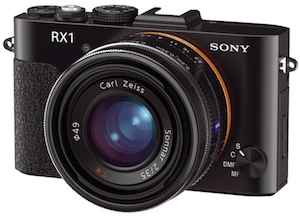 If you've been following some of Sony's latest cameras, they've announced a new version of the Sony RX100 (Mark II). The new Sony RX100 Mark II camera offers just a bit more sensitivity in low lighting than the original, but the slew of new features make it worth upgrading for existing RX100 owners. 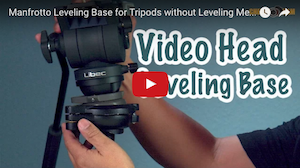 Check out the YouTube video from imagingresource below. For those who use the RX100 for video, the new frame rates (including 24fps) should be appealing. The multi hot shoe can now offer powerful external flash options, and with the ability to add an external EVF, the camera will be easier to use outdoors in bright lighting conditions. The built-in Wi-Fi feature will make it easier to instantly share your photos or videos to your social networks. 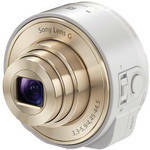 There's a very long list of enhancements to this popular camera. 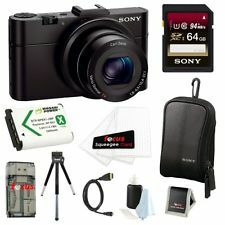 I currently own (2) original Sony RX100 cameras, but i'm definitely looking to upgrade. So far most retailers remain out of stock, but several retailers (including USA retailers) have them available now via eBay (click here). 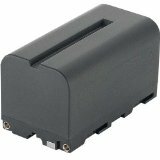 [Update] B&H now has them in stock following the link. Posted in dslr video, sony. 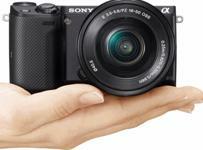 Tags: RX100 Mark II, RX100M2, Sony Digital Camera, Sony RX100 on July 23, 2013 by Emm. If you've purchased a Field HDMI Monitor, on-camera LED light, or even Studio LED Paanel, chances are you've had to buy a set of Sony NP-F series: NP-F550/F570/F770/F960/F970 , NP-FM series: FM50/FM51/FM55H/FM500H , NP-QM series: QM50/QM51/QM71D/QM91D or similar type of battery. 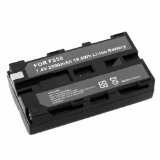 These Sony style batteries are becoming more and more popular, and with plenty of aftermarket versions available at every online retailer, i'd like to hear which ones you've purchased recently and what your feedback is on the batteries you're using. I'm sure many of us could use some good information, so please share your comments and links below, thanks guys! Posted in dslr video, sony. 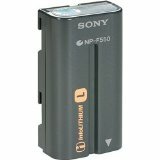 Tags: F570, F770, F960, F970, FM500H, FM51, FM55H, QM50, QM51, QM71D, QM91D, sony battery, Sony camcorder batteries, Sony FM50, Sony L series, Sony NP-F series: NP-F550 on June 10, 2013 by Emm. 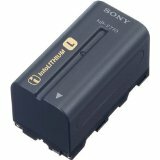 Posted in dslr video, Equipment Reviews, sony. Tags: Sony 30x zoom, Sony HX50V on April 24, 2013 by Emm. Just showing a quick video of me setting up the DJI Phantom Quadcopter designed specifically for the GoPro Hero cameras. The directions are a little weird, but I got through the user manual and was able to get it off the ground in less than an hour. The Phantom is Ready-To-Fly with no setup required except for a few AA batteries in the remote. Once you place the battery into the Phantom you go through a series of system calibrations and then off you go. 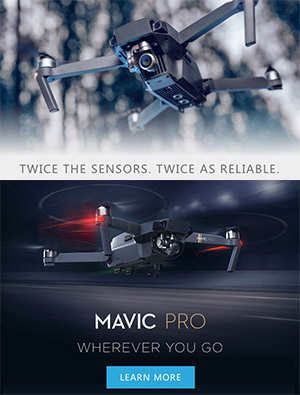 Though many will not consider this a professional Quadcopter - THIS IS STILL NOT A TOY. I've already modified a special mount for the Sony RX100 Camera because it has better video quality than the GoPro and built in Image Stabilization. I basically took an old GoPro mount and modified it with a little hacksaw. It fits natively to the Phantom, and the right angle mounts under the RX100 (upside down). The camera is short enough so that it doesn't touch the ground as the Phantom lands. The test flight was a success and the Phantom has no issues carrying the Sony RX100. It's dark right now so I don't have anything worth showing, but tomorrow i'll try to give her a test flight in an open field and share some of that footage. 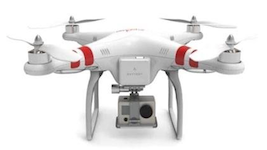 You can find the DJI Phantom Quadcopter following the link via eBay (click here). 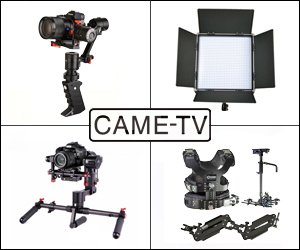 Posted in DIY Equipment, dslr video, sony. Tags: Cheesycam Phantom Quadcopter, DJI Phantom RX100, Sony RX100 Mount on January 16, 2013 by Emm. There has been quite a few articles about the Sony RX1, but I think this PhotoPlus 2012 video has some of the best insight about Sony's Full Frame compact camera, and why they couldn't make it an Interchangeable Lens Camera. 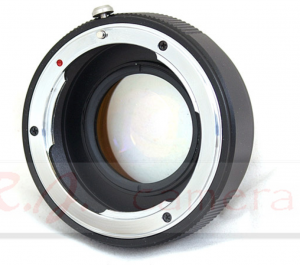 The lens is actually recessed into the camera body, and the shutter is fit into the lens. There is some additional information in the video such as a comment about uncompressed HDMI output for external recorders. 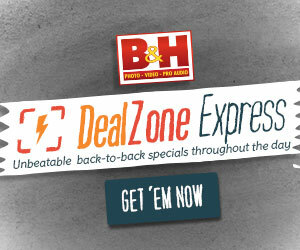 The new Sony RX1 should begin shipping in about a week and can be found for $2800 dollars via B&H (click here). Posted in sony. 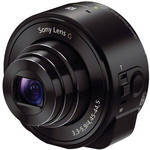 Tags: Full Frame Compact, PhotoPlus, Sony RX1, Sony RX1 Review on November 27, 2012 by Emm.